Tokai Forum - a subsidiary of TokaiRegistry.com :: View topic - who thinks its legit? Posted: Sun Oct 12, 2008 9:58 pm Post subject: who thinks its legit? would love to have this as a new quality bass is needed desperately and if this is legit would be just what i need!! any and all help much appreciated!! thanks! Looks legit to me although this model stayed the same well into the nineties. It's hard to see the decal from that pic - can you get any more? will try get more pics! watch this space, thanks for the help!! 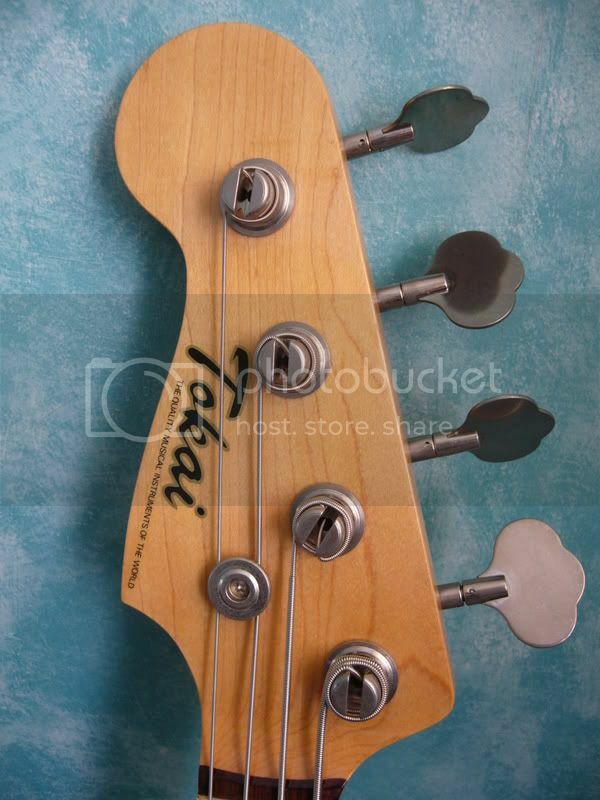 That Tokai decal on the headstock doesn't look right. sorry bout the huge pic!! any reviews on 'em? where's the truss rod on these btw? They're good basses (I own two) but since they were made during a long period of time it's hard to say exactly. The trussrod adjust is at the body end of the neck, you can glimpse it in one of the photos. Shouldn't it say "Hard Puncher" (or something) as well as Tokai on the headstock? So it's usual for the lefty decals to be different?